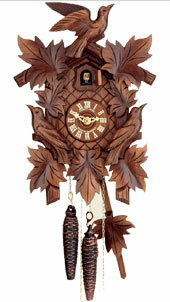 Only rewind these clocks once a week. 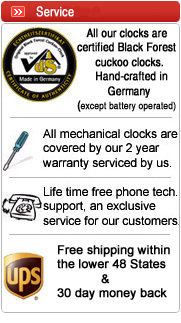 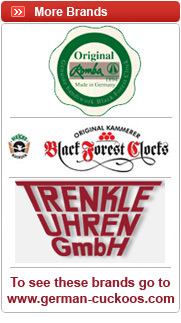 These clocks are equipped with a reliable german 8 day movement with night silencer switch and swiss musical movement. 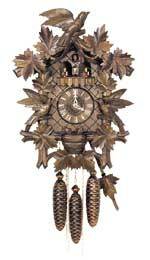 Beautifully carved 19 inch baroque bird and leaf motif. 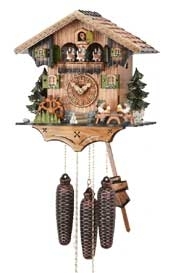 This nice size 8-day cuckoo clock features a wooden dial, night shutoff, plays Edelweiss and Happy wanderer, dancers move while music plays. 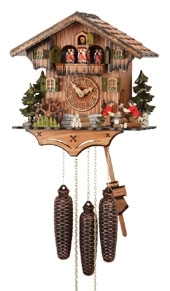 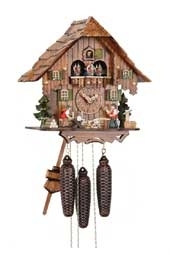 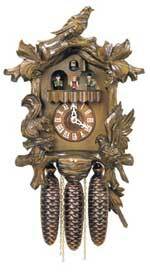 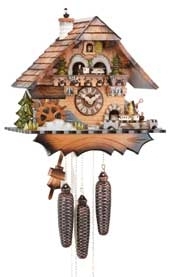 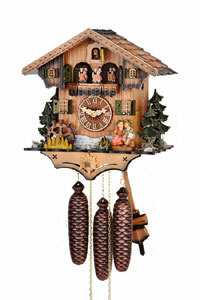 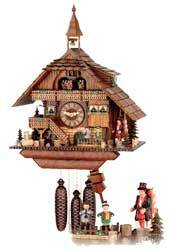 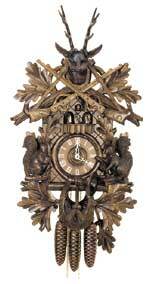 17 1/2 inch musical cuckoo clock with 8 day movement (wind only once a week) by Hubert Herr. 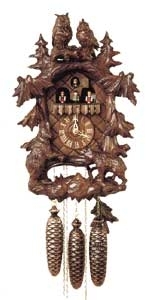 The clocks swiss music box plays Edelweis and Happy wanderer at the full hour and half hour.